A FAUP vai realizar uma sessão de colaboração com a Oslo School of Architecture and Design (AHO) no dia 6 de Março (Quarta-feira), às 15h00, na Sala Plana, intitulada 'Making Architecture: dialogues between Oslo and Porto'. 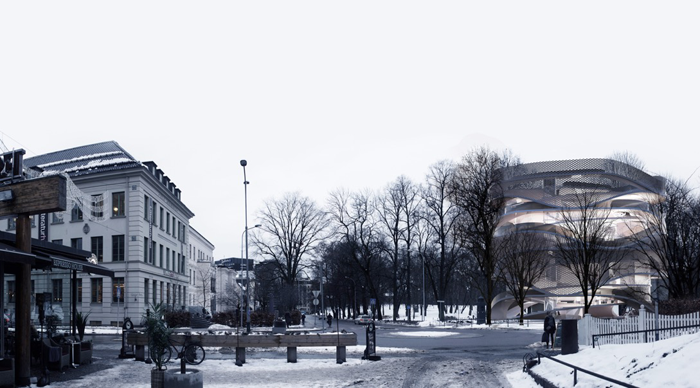 The lecture will present how the ACDL studio at the Oslo School of Architecture and Design, AHO, equip students with the skills to perform as architects and collaborate with prominent practices. ACDL studio is research based and students are introduced to an integrative approach to data-driven design with particular focus on associative computational modelling, computational analysis and advanced visualization for the purpose of advancing architectural design. Students are encouraged to develop their individual, own architectural stance and design, and through computation investigate potentials that can change the way architectures are designed and materialised. Discussions on computation in architectural design are often limited to technological questions or on possible loss of creativity. In the studio and the related research we utilize computation for the purpose of developing designs that are able to meet increasingly complex requirements, while at the same time not stifling creative freedom and design exploration. The studio seeks to address locally specific conditions and circumstances, and societal and environmental changes that require architectural responses that go beyond current practice. Every other semester the focus is on embedded, local specific architectural design in a rural, agricultural setting, and on design in an urban context addressing demographic changes that necessitates the need for interrelated urban and architectural considerations and transformations. This will be elaborated through examples from projects by students in our master-level studio. Associate professor Søren S. Sørensen is an architect, educator and researcher. He has worked as a practicing architect and project leader at some of the leading architectural offices in Norway before joining the Oslo School of Architecture and design, AHO. As a full time employee at AHO since 1997 he has been responsible for the implementation of digital technology in the educational curriculum and teaching at both bachelor and master level, as well as co-supervising PhD candidates. He has researched Virtual and Augmented Reality in relation to architecture since 2003, leading research projects in the field. Since 2014 he has been directing the Advanced Computational Design Laboratory, ACDL, at AHO. Most people are familiar with the Opera House in Oslo, but Snøhetta is worth getting to know for many other reasons. 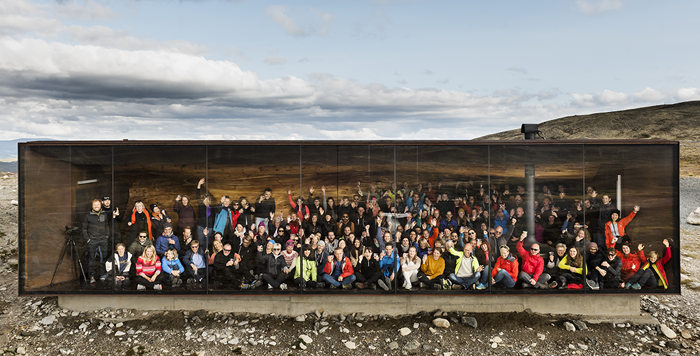 In this lecture you will hear about the talented people and innovative collaborative process that result in projects for which the Norwegian architecture firm has gained worldwide respect and acclaim. Formed in 1989, Snøhetta is an integrated design practice of architecture, landscape, interiors, product, graphic and brand design. The practice is centered around a trans-disciplinary approach where multiple professions work together to explore differing perspectives on the conditions for each project. A respect for diverse backgrounds and cultures is a key feature of the practice; reflecting this value, Snøhetta is composed of designers and professionals from around the world. Snøhetta’s working method practices a simultaneous exploration of traditional handicraft and cutting edge digital technology – a serendipitous relationship that drives our creative process. At the core of the design studio is a state-of-the-art modelling workshop equipped with 3D rapid prototyping capabilities and a large, programmable manufacturing robot. Alongside traditional woodworking machines, these tools enable rapid prototyping to become an integral part of the design processes, and allow ideas to move seamlessly between analogue and digital worlds and back again. Workshops and tools can only go so far, since people drive the creative process. We use the expression “Singular in the plural” to emphasize the value of the individual and one’s interests in the performance of a group. Each individual is a force, reaching their full potential in Snøhetta’s collective space of creation. Each result is unique, has its own departure and each project has its own embedded logic in the spiral of creation. Sofia Martins da Cunha is an architect at Snøhetta and an assistant teacher at the Oslo School of Architecture and Design (AHO). Sofia graduated from the Faculty of Architecture at the University of Porto (FAUP) in 2014. From August 2012, until July of 2013 she attended AHO for her ERASMUS exchange program. While studying at AHO she had the opportunity to further her interests in geometry and computation. In 2015 Sofia had the pleasure to teach a couple of master studios with professor Neven Fuchs and with Takahuru Tezuka and then with Mark Lee (Johnston Marklee) as guest professors. Since 2016 she has been teaching the Research Centre for Architectural Tectonics and the Advanced Computational Design Laboratory (RCAT-ACDL) studios with Michael Hensel (until the end of 2018) and Søren Sørensen. These are master research-based studios, addressing the relations between computational design, spatial and material organization, performance and locality. At Snøhetta Sofia collaborates on the design of prominent projects for the Middle-East and Asia such as the Banque Libano Francaise HQ and the Riyadh Metro Station.